A MUST SEE! End of CUL-DE-SAC location! Highly desirable Plan 1 Venzano home boasting 4BD+LOFT (incl. 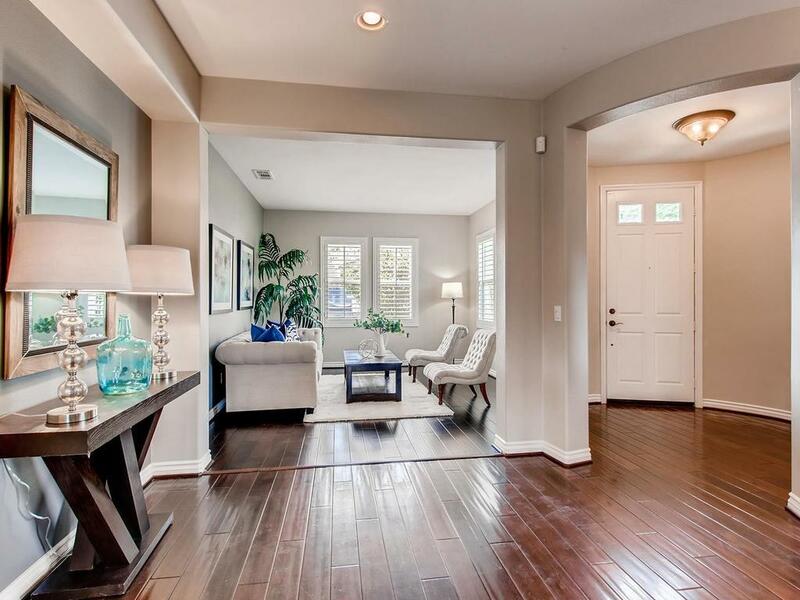 downstairs bed/bath), OWNED SOLAR, GORGEOUS hardwood floors thru/out the 1st & 2nd levels, gourmet granite kitchen w/ S/S appliances, + spacious breakfast nook. Enjoy the outdoor space year-round in the private ENTERTAINER'S YARD w/spacious patio, BBQ island, fruit trees, water feature, built-in firepit w/ wrap-around seating & serene open space BACKING UP TO THE NATURL PRESERVE offering tons of privacy! 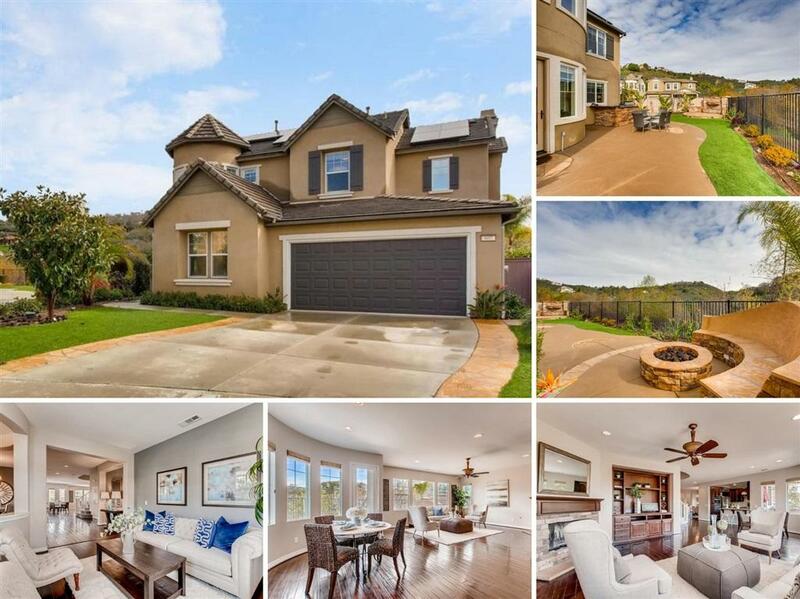 Highly desirable plan 1 home in the Venzano community near San Elijo Hills. This home has it all! Perfect location at the end of the cul-de-sac, backing up to the large open space with stunning views! This home has much to offer with a bright and open floor plan featuring 3 bedrooms + loft on second level and downstairs 4th bedroom, OWNED SOLAR, gourmet kitchen with granite counters, stainless steel appliances, breakfast nook with large light filtering windows, plus beautiful hardwood flooring throughout the 1st and 2nd levels. The master offers a light-filled retreat area with views + an upgraded bath with separate tub/shower, walk-in closet and more! 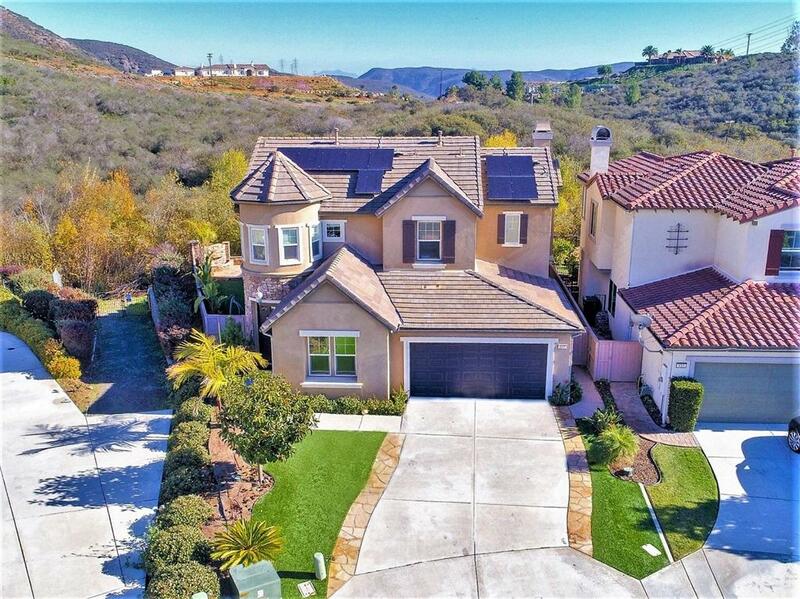 Enjoy the serene & tranquil entertainer's yard with spacious patio, open views, firepit with wrap-around seating, built-in BBQ, and fruit trees including: 2 cherry, 1 guava, 1 kumquat, 1 peach & 1 mandarin! 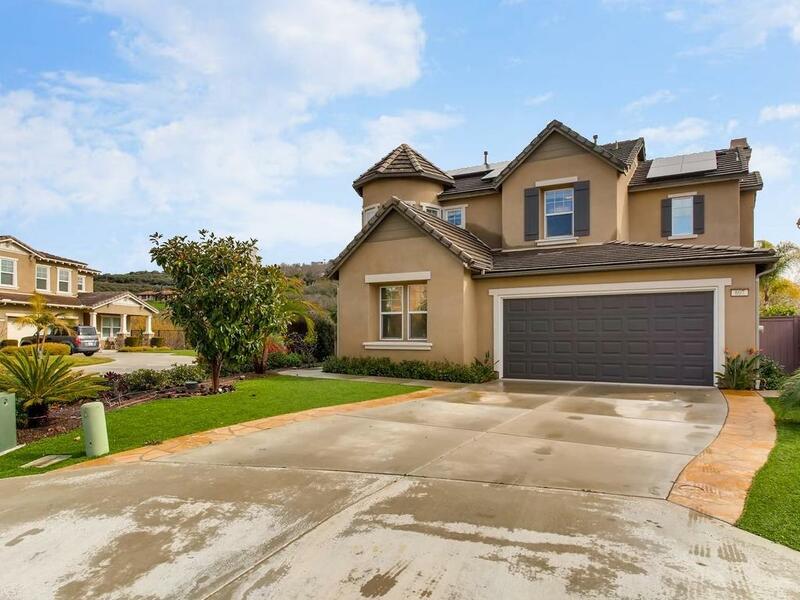 This Desirable Venzano neighborhood near the San Elijo Hills community includes high ranking schools, ballparks, soccer field, picnic & bbq area, playgrounds, dog park, community center...and all within walking distance. Enjoy the shops and eateries along with the 18 miles of trails & 19 acre park, 1000 acres of open space. Seller to select services. Room dimensions & Sq. footage are approximate, per builder & assessor's record. Mello-roos is estimated. All MLS & marketing info is approximate & not guaranteed.